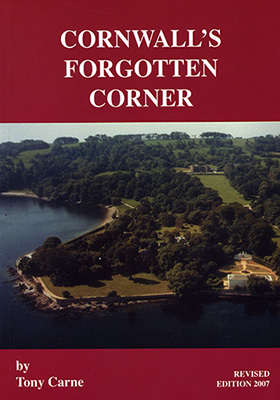 A new fourth edition of Tony Carne's book "Cornwalls Forgotten Corner" has just been released (March 2007) and has been updated to reflect all recent developments. The book provides an in depth look at the history and people of the Rame Peninsula with chapters on: Cremyll, Maker and Mount Edgcumbe; Kingsand; Cawsand; Rame and Whitsand Bay; Millbrook; Saint John, Tregantle, Portwrinkle and Sheviock. It is considered essential reading for all who are interested in this beautiful part of the world.